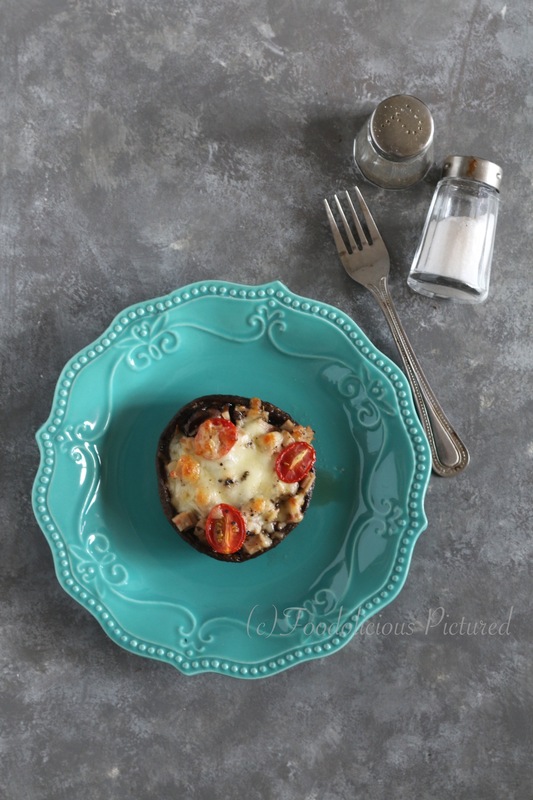 I love to do stuffed food – it helps to fuse in the flavours of the ingredients while the outer cup/crust will impart its own flavour to the dish. This time I stuffed Portobello mushroom caps with bacon sautéed with button mushrooms, seasoned with garlic powder and dried herbs, topped with good amount of mozzarella cheese, and baked to perfection. Works well as an appetizer for your parties/gatherings or can be served as a simple meal. Pre-heat the oven to 190 C. Remove the stalks from the Portobello mushrooms. Clean the mushroom caps and pat dry. Heat 1 teaspoon oil in a pan, add the chopped bacon and fry till the bacon is crisp. Add the chopped button mushrooms, garlic powder, dried herbs and sauté briefly. Turn the heat off. 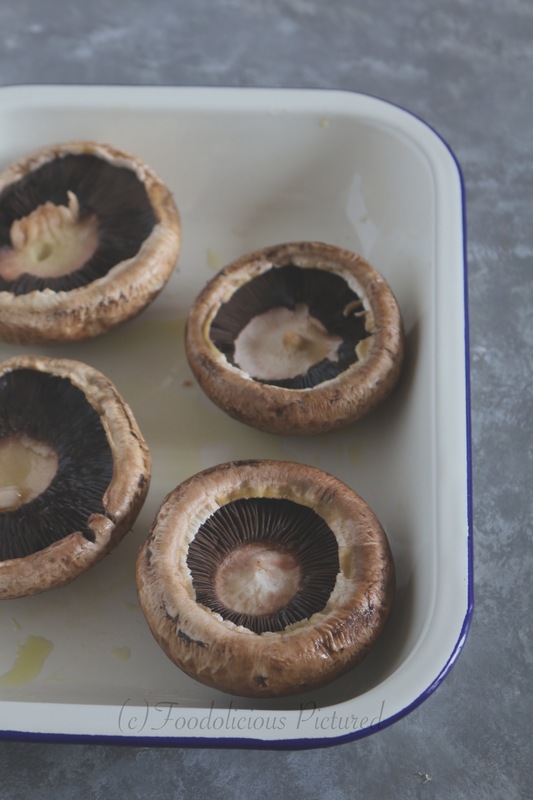 Brush the Portobello mushrooms well with oil and arrange them on a baking tray. Now spoon the filling equally into each mushrooms. Top with the cherry tomatoes, cheese, season with salt and pepper and bake from 12 mins or till the cheese has melted and bubbly. 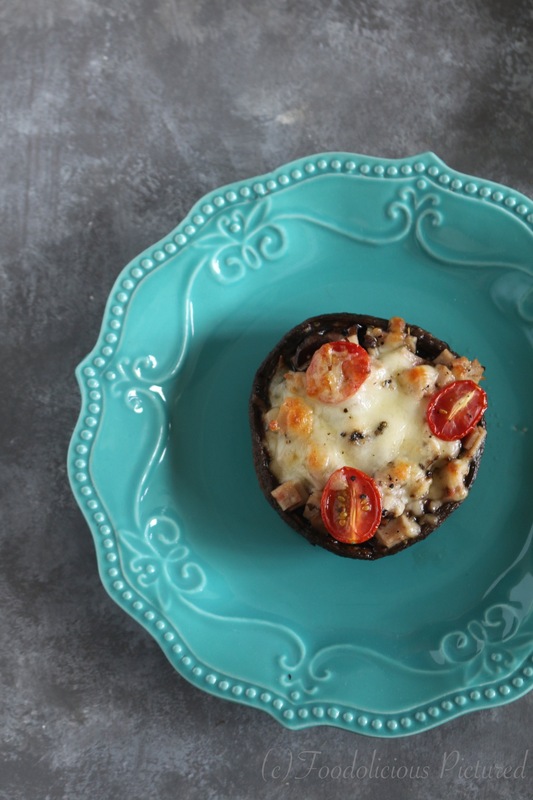 Enjoy these stuffed mushrooms with a glass of wine. So yum! 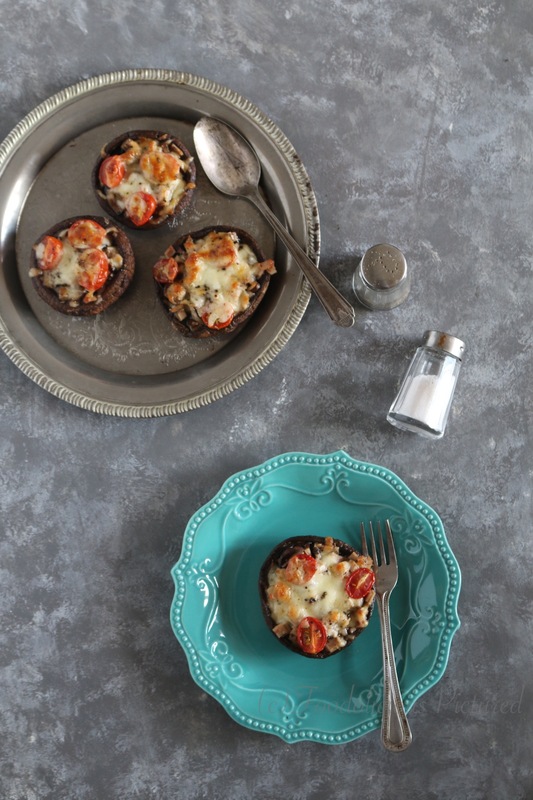 Love everything about these stuffed mushrooms.